Our forums are filled to the brim with impressive projects thanks to the work of some talented developers. 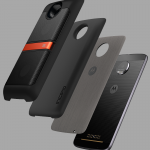 One such developer is XDA Recognised Developer erfanoabdi, who brought the Android P beta to the Motorola Moto Z back in May. He did that by taking the version released for the Google Pixel XL and modifying it to boot on the device. Since then he’s kept working on it and he has released Android P Beta 3 for the Motorola Moto Z on our forums. There are a small number of bugs, but it’s still a development feat for sure. The flashlight is broken, VoLTE doesn’t work, and you have to re-install Google Play Services after installing it. Other than that, it runs reasonably well. If you aren’t worried about those bugs, you can download it and check it out down below. You can also read the list of new features in Android P Beta 3 here.